The gift of Luxury! 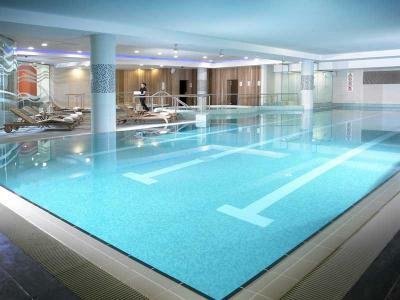 Purchased gift vouchers may be redeemed against accommodation, food & beverage & Energize Health Club membership at the 4* Limerick Strand Hotel the choice is yours. 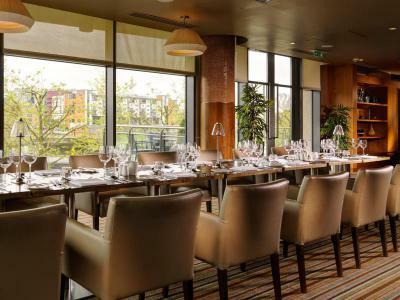 Note: Purchased gift vouchers may be redeemed against accommodation, food & beverage & Energize Health Club membership at the 4* Limerick Strand Hotel the choice is yours. 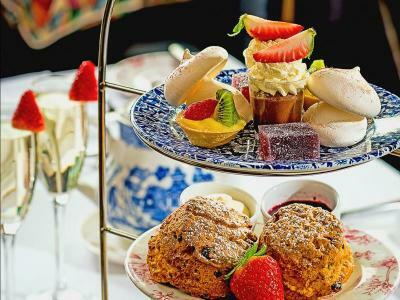 Raise your little finger and nibble from a three-tiered platter of exquisitely prepared sandwiches, scones, homemade desserts served alongside a range of teas and coffee. Afternoon Tea is specially prepared inhouse by our pastry team using the finest of their artisan award winning Strand Pantry range. Purchased gift vouchers may be redeemed against accommodation, food & beverage & Energize Health Club membership at the 4* Limerick Strand Hotel the choice is yours. Available from 1.00pm to 3.00pm for our highly popular Sunday Lunch Buffet is served in the AA Rosette River Restaurant. Enjoy an array of delicious homemade dishes created by Tom Flavin and his culinary team. The buffet offers a full range 4 dishes - including starters, mains, desserts, cheese boards & much more! The buffet offers a home made dessert display prepared that morning by our in house pastry chef that you will not be able to resist! Arrive in style as you are greeted by our expert team on arrival with a Glass of Bubbly or Orange Juice. 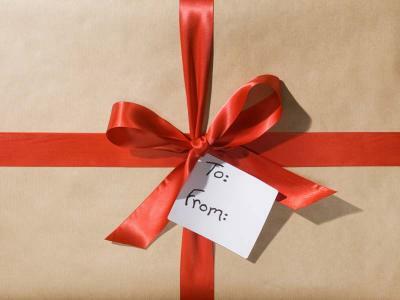 The gift of looking good and feeling great! 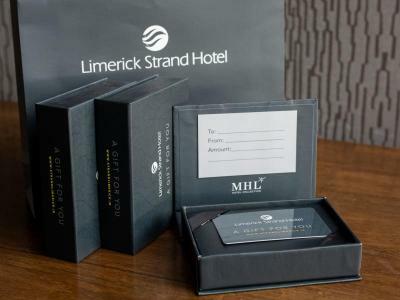 Purchased gift vouchers may be redeemed against accommodation, food & beverage & Energize Health Club membership at the 4* Limerick Strand Hotel the choice is yours. Energize boasts not one but four pools, including a 20 metre swimming pool, sauna and jacuzzi, steam room, plunge pool & hydrotherapy pool. The superb facilities and dedicated attention of our professional team makes Energize the winning health and leisure centre in Limerick. Enjoy state-of-the-art exercise and gymnasium equipment - including high performance cardio & weights machines in addition to a plunge pool and hydrotherapy facilities.